Whether you are testing for OSHA compliance, quieting equipment, or monitoring the roar of a stadium crowd, B&K Precision's Sound Level Meters can get the job done. The model 735 Sound Level Meter provides 30~130 dB capability in three convenient measurement ranges Low, Med and Hi with an accuracy of ±1.5 dB. The meter meets the IEC 651 Type II and includes frequency weighting A & C and fast and slow time weighting. Two auxiliary ports provide either AC output, 1Vrms full scale, or DC output, 10mV /dB. 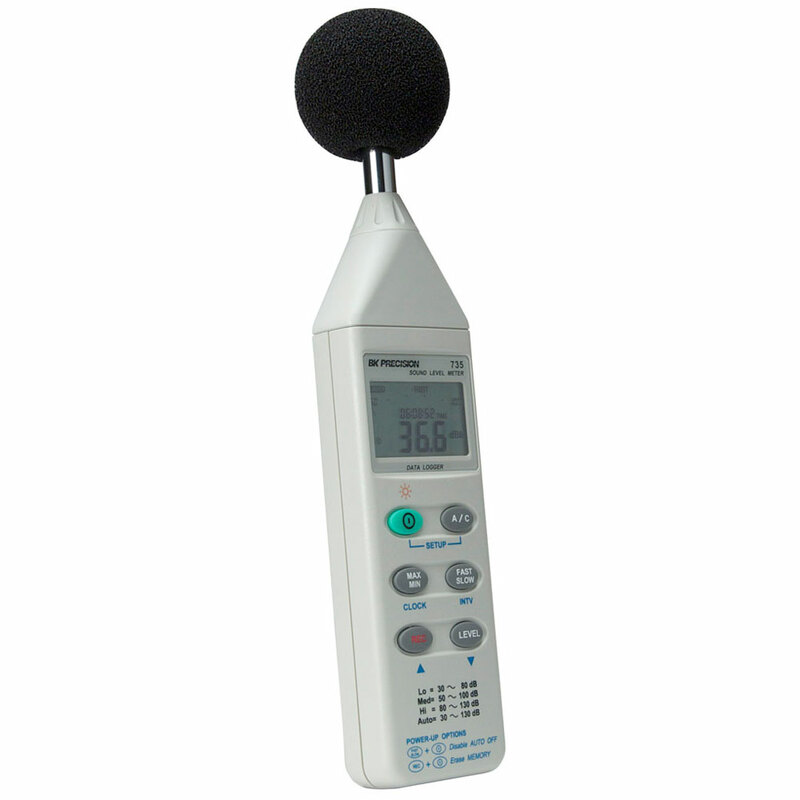 With the model 735, B&K Precision can meet all your sound testing needs. USB Cable with software for sound level meters. For the Windows10 compatible USB driver click here.